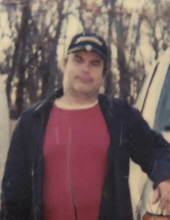 Christopher Gregory Brunk age 62 of Webb City, Missouri passed away suddenly on Monday, March 11, 2019 at his home. He was born in Wichita, Kansas to Momie Brunk and Shirley (Karns) Brunk. Christopher is survived by his mother, Shirley Brunk of Webb City; brother, Steve Brunk of Evans, Colorado; and sisters, Kathy Schutte of Wichita, Kansas, and Charlotte Thompson of Colorado. Christopher has been cremated and no services are planned. Cremation arrangements are under the direction of Simpson Funeral Home in Webb City. Visit www.simpsonfh.com for online condolences. To send flowers or a remembrance gift to the family of Christopher Gregory Brunk, please visit our Tribute Store. "Email Address" would like to share the life celebration of Christopher Gregory Brunk. Click on the "link" to go to share a favorite memory or leave a condolence message for the family.